Quinoa is a great ingredient to include in granola. It develops good texture when toasted and its naturally nutty taste is drawn out with heat. 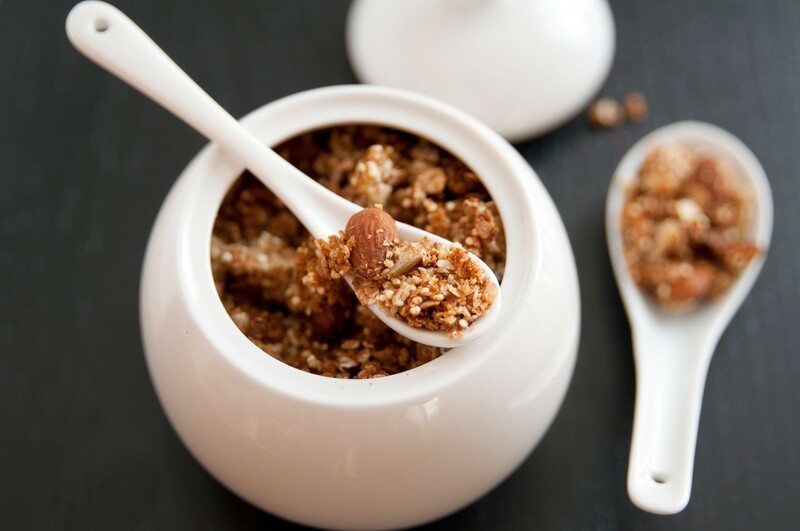 That nuttiness combined with oats, bran, seeds and a sweet mix of honey/maple syrup, coconut oil, and vanilla extract creates sweet and crunchy granola you will want to snack on all day. 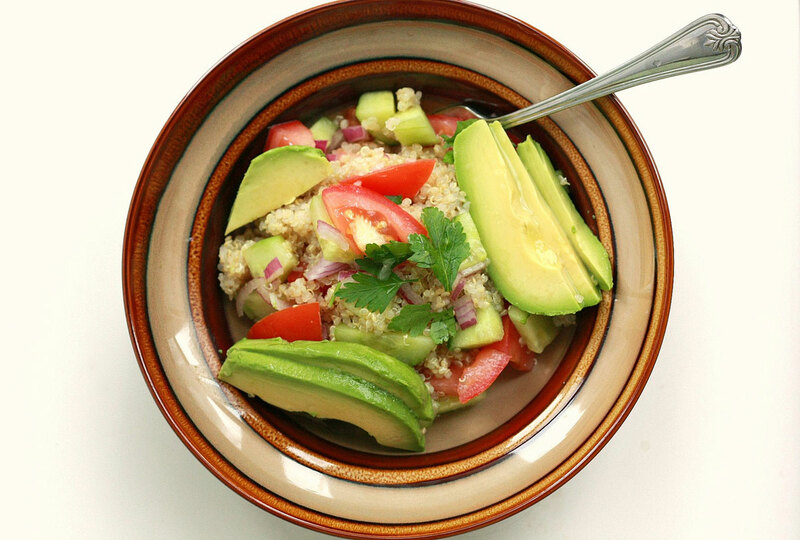 Toast the quinoa in a dry skillet over medium heat for 5-7 minutes or until toasty and begins to pop like corn kernels. Stir to prevent burning. Pour the quinoa into a large bowl. Preheat your oven to 325 degrees F and line 2 baking sheets with parchment paper. Add the oats to the bowl with the quinoa as well as the oat bran, almonds, coconut, sunflower seeds, cinnamon, nutmeg, and salt. Fold the dry ingredients together with a spatula. Combine the honey/maple syrup in a saucepan with both oils. Heat over low. Do not allow the mixture to simmer. Pour the hot mixture over the dry ingredients. Use a spatula to mix until everything is evenly coated. Separate the mixture in half and spread in an even layer on both lined baking sheets. Place into the oven and bake for 20-25 minutes or until golden and toasty. Remove from the heat and leave to cool.. Break up the granola, serve as desired and store any remaining granola.